1. Mattis served in the Marines for over 40 years, eventually working his way up to lead the U.S. Central Command in the Middle East and Southwest Asia as a four-star general. He retired from that position in 2013. 5. Mattis has called for a very harsh stance against Iran, prompting the Obama Administration to cut his Central Command tour short in 2013. But Mattis, unlike Trump, now supports President Obama’s Iran nuclear deal for the sake of continuity between the two countries. 6. 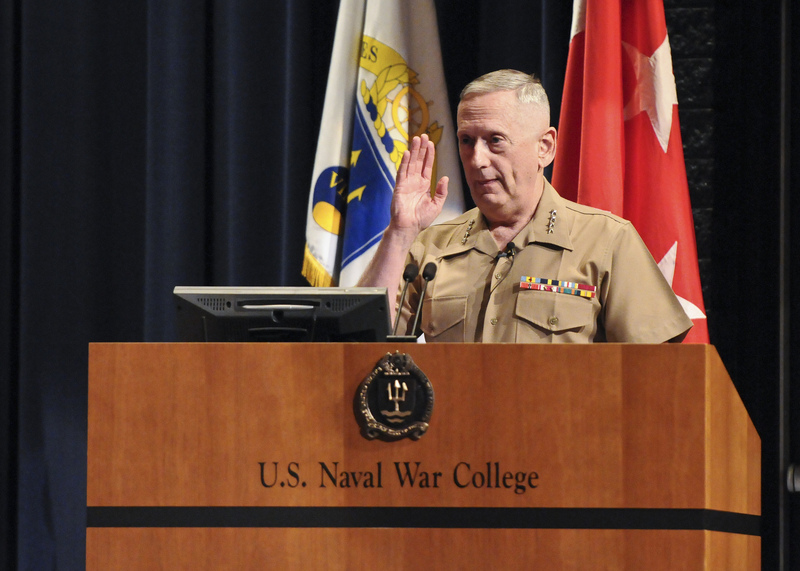 Conservative commentator and Trump opponent Bill Kristol suggested in April, as the Republican primary was winding down, that Mattis would be an excellent third-party option. Mattis, who was also offered speaking slots at both parties’ conventions, obviously did not take up the offer. 9 min 29 sec ago. 10 min 23 sec ago. 11 min 42 sec ago. 12 min 15 sec ago. 12 min 29 sec ago. 16 min 4 sec ago. 17 min 13 sec ago. 17 min 20 sec ago. 19 min 16 sec ago. 21 min 22 sec ago. 21 min 32 sec ago. 21 min 41 sec ago. 23 min 15 sec ago. 25 min 11 sec ago. 25 min 23 sec ago.